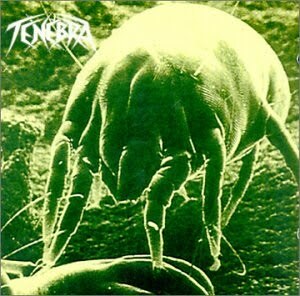 In the sodden mire of groove/thrash ablutions and weaker albums from established German acts that dominate 1994, Tenebra's s/t seems somewhat revolutionary. Here is an actual thrash album, not at all cool by mid 90s standards, which hearkens back to techniques of years before. A clinical and paranoid experience in the vein of Destruction styled riffing, with thrust and energy placed into its composition, rather than clumsily strewn together grooves and meat headed jock lyrics. Not that Tenebra is necessarily good, but it's thankfully an antithesis to the downward trend of shallow conformity that was corrupting a genre that never needed fixing in the first place, only continued excellent in songwriting. Tenebra are not excellent songwriters, but they do manage to captivate with sporadic infusions of fear in their riffing. This comes via the interaction with Darius S. Sarbandi's vocals, delivered with the bluntness of demented US crossover acts like D.R.I., F.U.C.T., older C.O.C., or those bearing other absurdist acronyms. 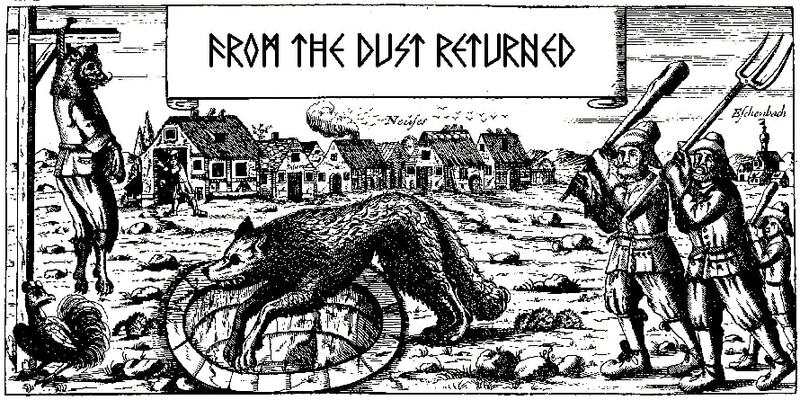 But the guitars here are almost pure German, like a snot nosed, crude younger cousin to Release from Agony, Deception Ignored or The Music of Erich Zann, only given more clarity in the mix. The rhythm section is a bit on the thin side, but more than adequate, and tracks like "Urges", "Pellucid Viscera" and the raging "Mother's Gate" almost effortlessly tunnel through tempo variations and bristling energy that is so lacking in many of the band's peers. "Lost" shows a little twist of Death and Pestilence influence, and though there is little innovation here, there's at least enough here to showcase some potential had the band desired to increase their intensity and technicality later. Sadly, that potential would never come to full fruition, as the Germans put out only this one album through D&S records and called it quits. It's not exactly a crushing shame, since this is not quite a winner of a debut, but at the very least it serves as proof that there might have been some lifeblood in progressive/thrash outside of the few bands that were clearly excelling in it (Mekong Delta, Depressive Age). I wouldn't go through great pains to track Tenebra down, but if you, like myself, find this sort of material entirely too scarce, then it might at least be worth a shot, and there's no doubt that this is leagues better than most of the groove garbage that was uttered in 1994 (I know that's not saying a lot).